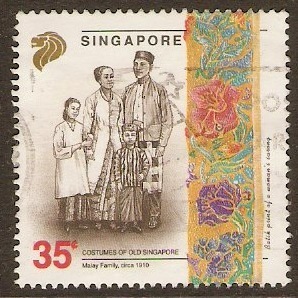 Singapore 1992 35c Costumes of 1910 Series. SG689. Fine used 1992 35c Costumes of 1910 Series. SG689. 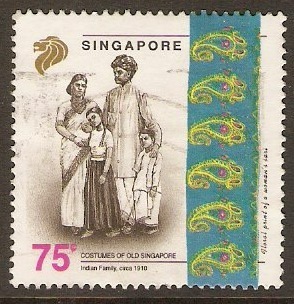 Singapore 1992 75c Costumes of 1910 Series. SG689. Fine used 1992 75c Costumes of 1910 Series. SG689. 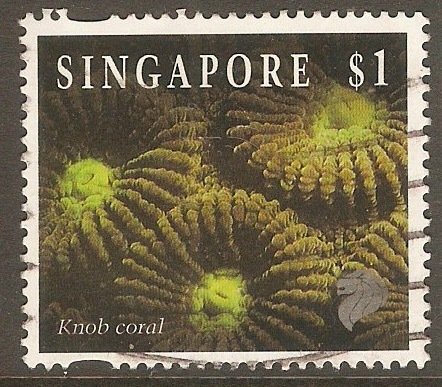 Singapore 1994 $1 Reef Life - 1st series. SG750. Fine used 1994 $1 Reef Life - 1st series. SG750. Singapore 1997 Transportation Series - Jinrickshaw. SG871. Unmounted mint 1997 Transportation Series - Jinrickshaw. SG871. 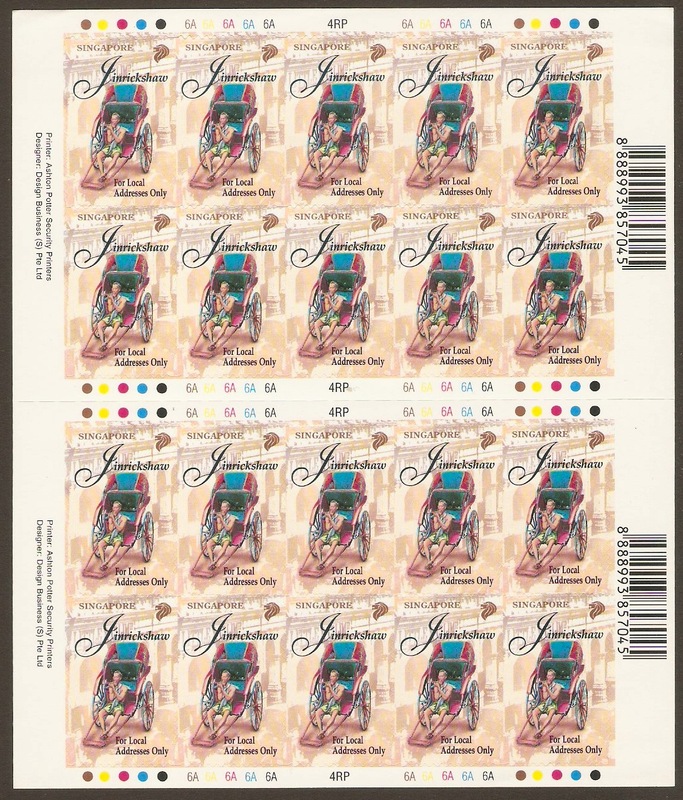 Sheet of 20 self adhesive stamps..